I could actually top up my account balance to make up for this aspirational property stay, since the value of purchasing the points is nearly equivalent to paying for the one night stay itself. In this case I would take it like paying for the stay partially using the points, and getting a stay worth probably around US$5,000. Alternatively, I could transfer the 20,000 Starpoints to my Alaska Airlines Mileage Plan account, of which SPG is a partner of. Transferring 20,000 or US$525 worth of points will net me a 5,000 point bonus. This means I get 25,000 Alaska Mileage Plan miles. But what’s the use of Alaska Airlines Miles? Well they are a unique boutique airline based out of the Pacific Northwest that partners with some of the most exclusive airlines in the world such as Cathay Pacific, Emirates, Korean Air, KLM, British Airways and Air France. As such you can redeem miles for travel on these airlines. Some interesting options includes a one-way ticket on First Class onboard Emirates between North America and Asia for 100,000 miles. 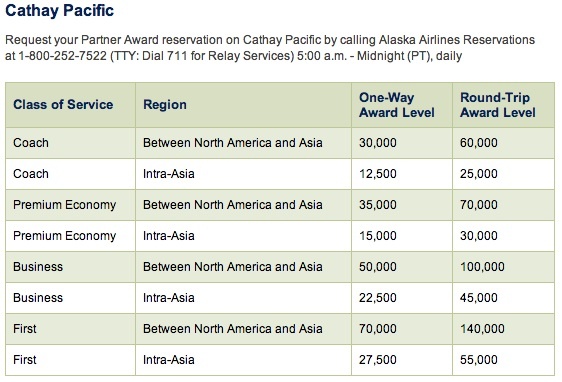 Another one is a round-trip ticket on Business Class onboard Cathay Pacific that costs 100,000 miles as well. Alaska Airlines also recently announces a 35% bonus when you purchase 40,000 miles. 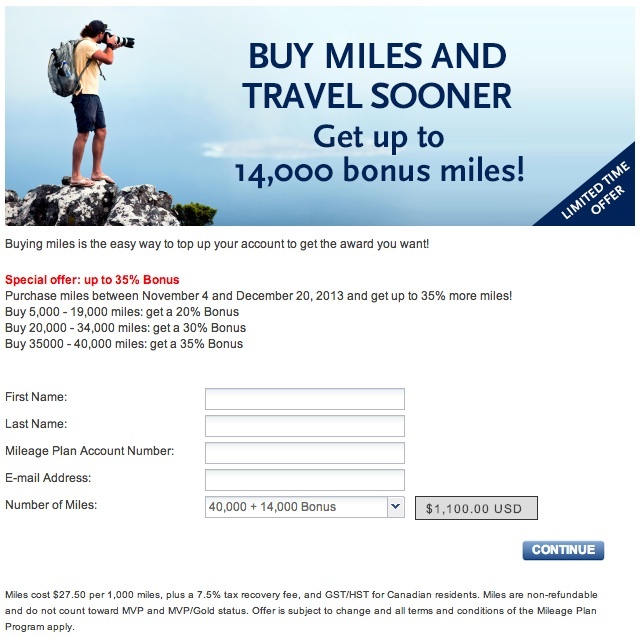 That means Mileage Plan members can buy 54,000 miles for US$1,100. And yes, 54,000 miles might not get you anywhere. 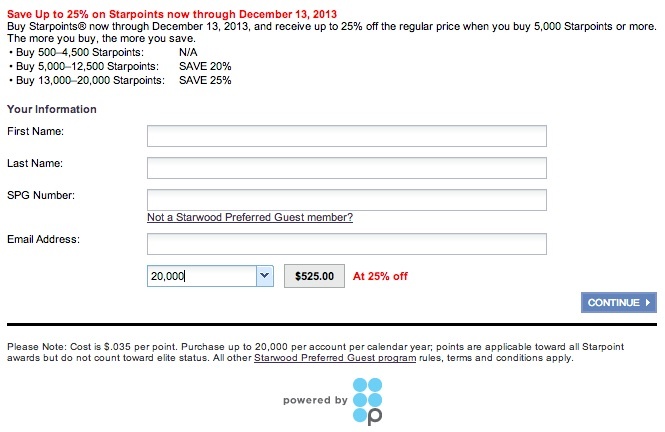 But when you add the SPG promotion, you can get another 25,000 miles for US$575. And to get the remaining 21,000 miles? Apply for the Alaska Airlines Mastercard in Canada, which is issued by mbna to get a 25,o00 mileage plan bonus. This post here details why I like the card and Alaska Airlines Mileage Plan in general. The credit card comes with a $75 annual fee. In this case, you will get a total of 104,000 Alaska Airlines Mileage plan miles for a total cost of US$1,100 + $575 + $75 = US$1,750. Add in perhaps $200 worth of taxes when you redeem miles and you could look to travel between North America and Asia in business with lie-flat seats or have a shower onboard Emirates First Class after a snack of caviar. So combining miles and points promotions will help one to accumulate the miles necessary for some great travelling opportunities.